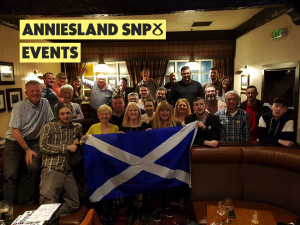 Anniesland SNP hold a number of fantastic events throughout the year, organised by Social Convener, Joseph Merrick and our Social Committee! 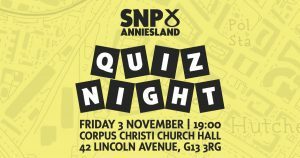 The next superb Anniesland SNP Quiz Night will take place on Friday 3rd November! 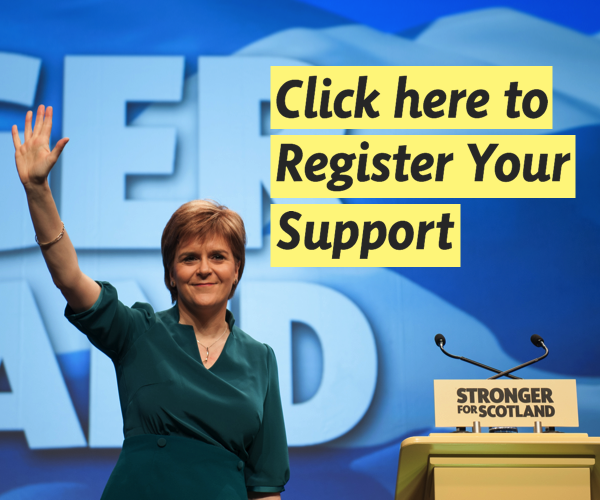 It all kicks off at 7pm at Corpus Christi Church Hall, 42 Lincoln Avenue, G13 3RG. £2 to enter and very reasonable bar prices. Everyone’s welcome, so please join us and see if you can get your hands on the coveted trophy! We look forward to seeing everyone there! 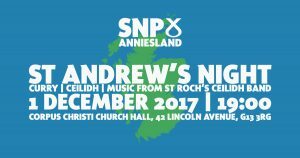 Anniesland SNP’s annual St Andrew’s Night Curry/Ceilidh will take place on Friday 1st December! Please join us at Corpus Christi Church Hall, 42 Lincoln Avenue, G13 3RG for good food, a fully licenced bar and music from the fantastic St Roch’s Ceilidh Band!